You know that the wedding flower arrangements that are chosen for the bridal day are not going to be chosen randomly, they are all about symbols and how they make you feel and in the same time they depend on what message you want to transmit. 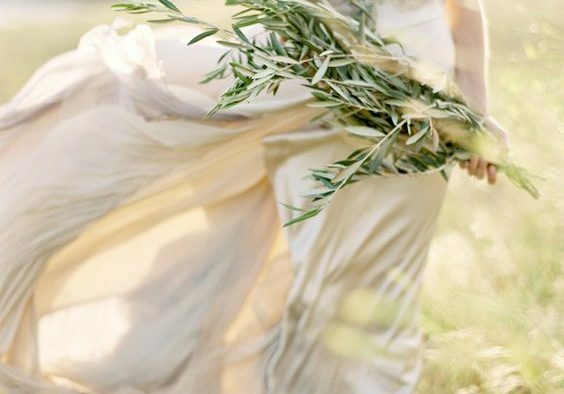 There were some things that were mentioned concerning the wedding flowers, some particular ones and how they relate to symbols and what you want to tell to the ones attending your wedding. Due to the fact that we want you to make only the best choices, we were thinking that it would really be a great idea to share with you some of the most used flowers and maybe others that are not so popular and mention some things about their symbols and meanings. 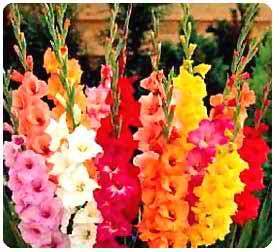 Let’s start with the gladiolus flower, shall we? 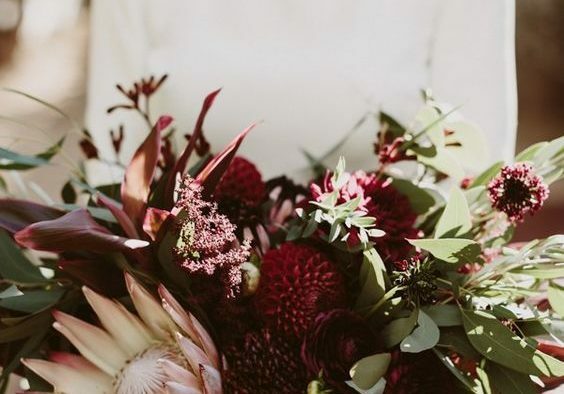 You have to know that this flower with a spiky stem looks really interesting in wedding flower arrangements, due to the fact that it’s tall and you can observe it from a multitude of flowers. 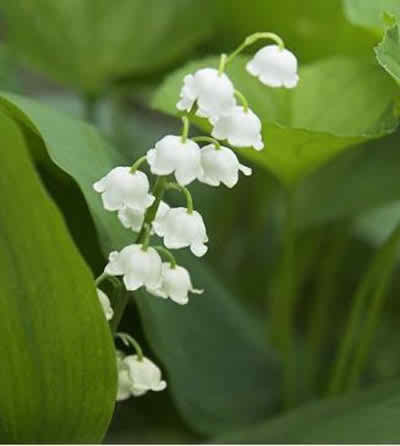 You can find this flower all year long, but you’re most likely to encounter it during the summer season. The colors in which it can be encountered are red, purple, lavender, white, yellow, green, orange, pale or dark pink or even apricot. 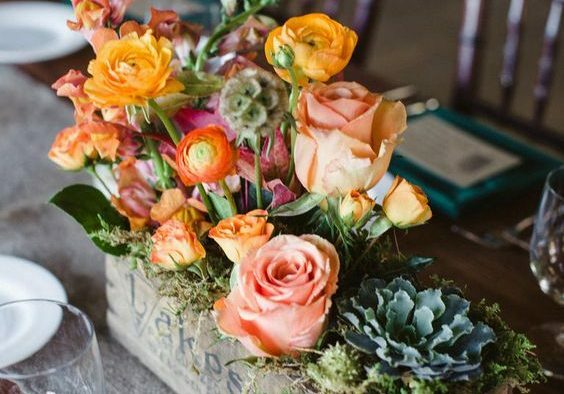 Certainly, if you apply for these flowers in your wedding flower arrangements you definitely want to transmit the message of the strength of character or generosity. 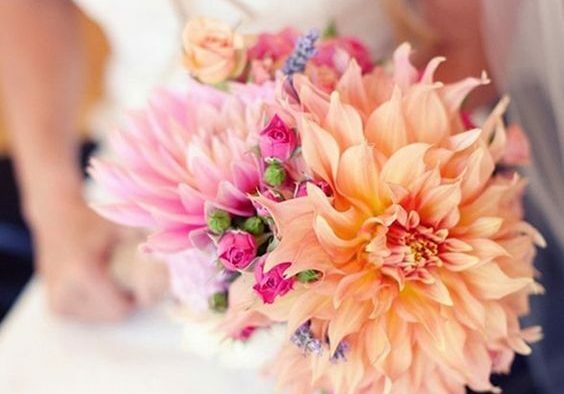 These flowers with their vibrant color and the rich aspect, without a scent, is ideal for being used both in wedding flower arrangements to be placed on the surface of the wedding reception rooms and in the same time for the bouquets. You can find these flowers in the period between July and November and the most common colors are blue, purple, pink, green, white or burgundy. Also, their meaning is related to remembering a person or if you want to transmit that you feel extreme devotion to the other person. The grape hyacinth is named in this way because it has the bloom in the shape of grapes and at the same time, it can be encountered in white green or blue-purple tones. These flowers are placed with the flowers downwards and towards the stem. Their scent is sweet and it even resembles grapes at this level as well. The normal hyacinth appears to mark the presence of spring in our lives, it has a strong smell and it can be used with ease in bridal bouquets as well as in wedding flower arrangements. You can find this flower between the months of November or May and you can encounter it in tones of blue, white, yellow, pale pink, fuchsia, lavender, purple or peach. 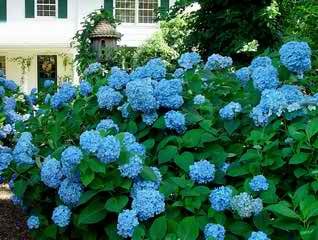 Check out tips on how to care for your Hydrangeas. This flower has a strong and sweet scent and you can easily use it in no matter what part of the wedding reception salon you wish. It symbolizes benevolence, so if this is what you mean to transmit then go for this type of flower. This particular flower is loved by so many people and used in all sorts of arrangements, not only in weddings. 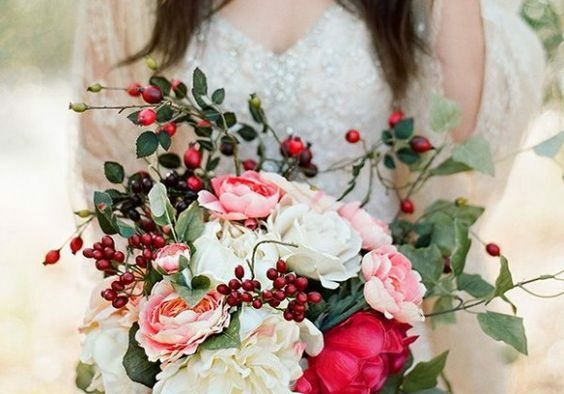 The best thing about these flowers is that they look really cute and small and you can infer them with ease in any type of wedding flower arrangement you wish to. Also, these flowers are not that expensive, so this means that you can easily apply for them for being used in your arrangements. Besides the white variant that you all know very well, there’s another type that seems really rare and it smells as great as this one. If you want to transmit delicacy and happiness, then surely this is the right flower for doing it! We totally recommend you to go for it. This particular flower has attracted so many curiosities around it, especially due to its shape and it has been offered a special place in history if we come to think of it. It can be found all year long and the most common colors are purple, yellow and white. They do not have a scent and if you want to use this flower in your arrangements, then you surely want to transmit all your compliments or a particular message. 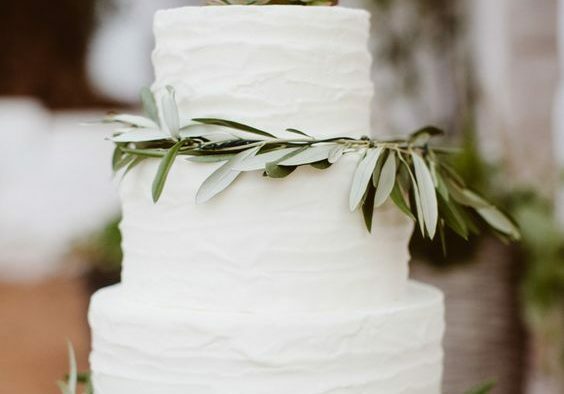 It’s a gorgeous flower, which can be encountered all year long, so you won’t have any problems when it comes to obtaining it for your wedding arrangements. There are some orchids that have a pleasant scent, others that are scentless. If you choose them, you sure want to transmit a noble or luxury air!